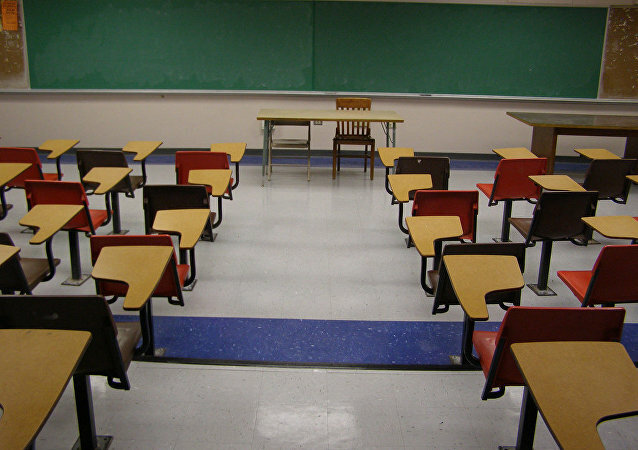 Charlottesville, Virginia, the site of a deadly white supremacist rally just two years ago, is again facing the possibility of racist violence: for the second day in a row, local schools have been closed due to a threat of "ethnic cleansing" and other racially motivated crimes at the city's high schools. On Monday, an Ohio man, Daniel Borden, was sentenced to just under four years in prison for beating a young black man, DeAndre Harris, during a white supremacist “Unite the Right” rally in Charlottesville, Virginia, in August 2017. On this episode of The Critical Hour, Dr. Wilmer Leon is joined by Dr. Wes Bellamy, city councilor and former vice mayor of Charlottesville, Virginia; attorney Barbara Arnwine, president and founder of the Transformative Justice Coalition; and Alex Rubenstein, Sputnik News analyst and journalist. Was Charlottesville Murder Suspect Motivated by 'Anger' or Self-Defence? 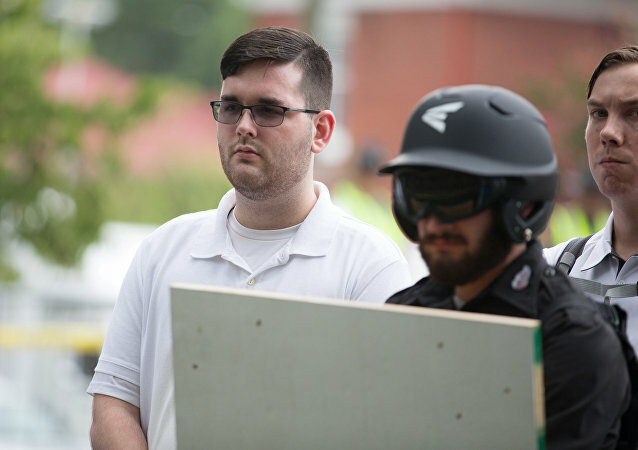 The trial has begun in Virginia of James Fields, the white nationalist who is accused of deliberately killing an anti-racism campaigner by ramming her with his car at a rally last year. The jury was shown footage of the incident in August 2017. Shawn Decker was exposed to HIV in the 1980s, when he was still a child. Sputnik spoke to him about living with the virus for more than 30 years and how he coped before drug treatments made the condition bearable. 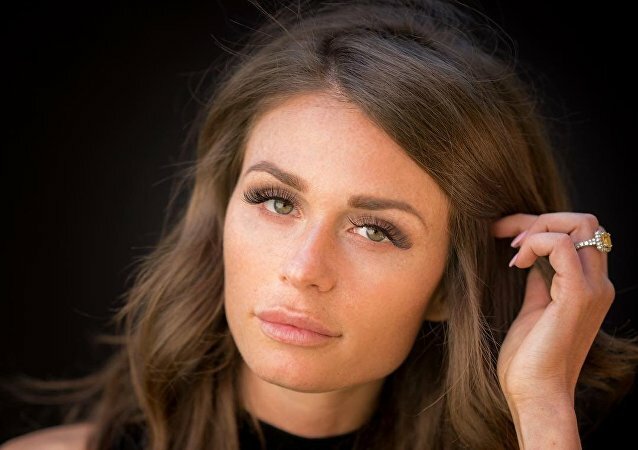 The Toronto mayoral election, held on 22 October, saw John Tory re-elected for a second term, but it’s another candidate, namely Faith Goldy, a Canadian commentator and reporter, who stole the spotlight. In a new escalation of the US leader’s notoriously polarizing rhetoric, President Donald Trump has chosen to use fear as his primary message to supporters. 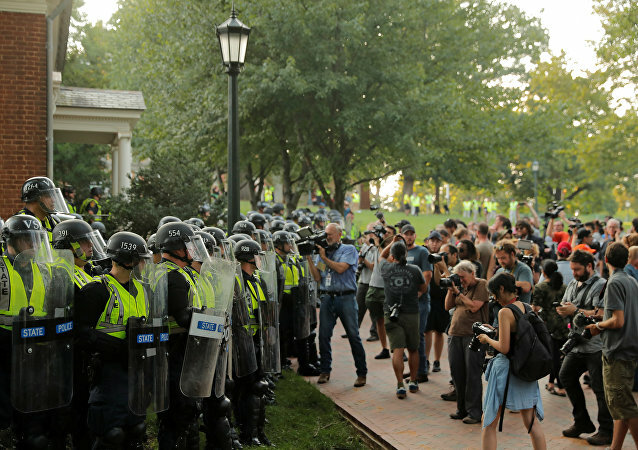 Hundreds of protesters rallied in Charlottesville, Virginia, over the weekend to mark the anniversary of last year’s fatal white supremacist violence, but demonstrators also criticized the huge police presence. 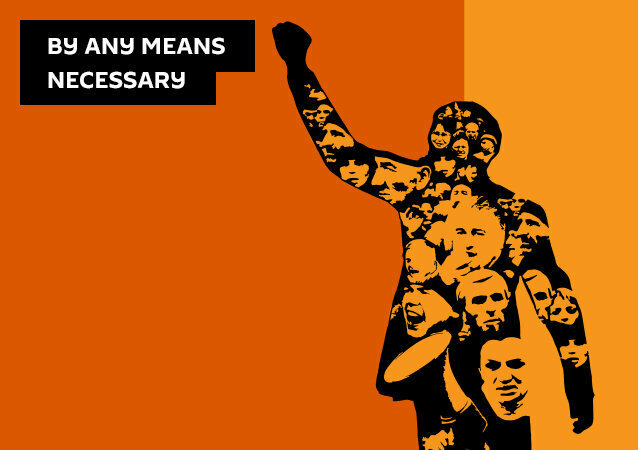 Authorities banned most weapons from the protest site, with the exception of guns. While white nationalists rallied in Washington DC. WASHINGTON (Sputnik) - Jason Kessler, the organizer of the "Unite the Right 2" rally, timed to the one-year anniversary of the Charlottesville violent protests, expressed hope to hold more rallies for his supporters in Washington, DC in the future, after only a small group of people attended his Sunday's demonstration. MOSCOW (Sputnik) - The allegations, voiced by some US politicians, that Russia had a role in last year's violent clashes in the US city of Charlottesville, are absurd just like other US claims that Moscow had meddled in Washington's domestic affairs, the Russian embassy in the United States said. 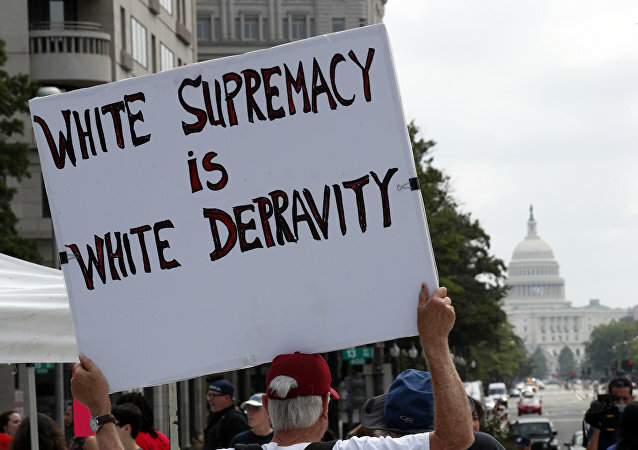 Counterprotesters are gathering in Lafayette Park, Washington DC, next to the White House, where a US white nationalist faction is slated for a late Sunday afternoon gathering on the one-year anniversary of a deadly neo-fascist ‘Unite the Right’ march in Charlottesville, Virginia. MOSCOW (Sputnik) - Hundreds of left-wing campaigners held a rally outside the University of Virginia in the US eastern city of Charlottesville, where notorious Charlottesville protests began a year ago, local media reported. Fearing a return of last year's tragedy at the hands of violent neo-Nazi marchers, Charlottesville calls in the National Guard. WASHINGTON (Sputnik) - The US National Park Service has received two additional permit requests for counter-protests on Sunday in Washington, DC, the agency's Chief of Communications Mike Litterst said in a statement on Friday. As the city of Portland, Oregon, prepares for what many officials consider to be potential violence during a far-right march on Saturday, armed Trump supporters from several US right-wing groups are claiming to assert their right to free speech as counter demonstrators gather nearby. The US Agriculture Department announced today a $12 billion package of emergency aid for some of the victims of President Trump's escalating trade war. This is clear evidence that Trump failed to really think this one through and it's an additional tax on American citizens since it's tax payers dollars that are being used to fund it. 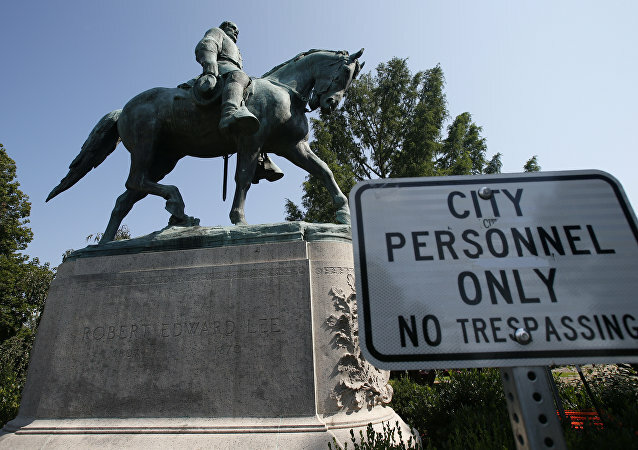 A federal grand jury in Virginia indicted an Ohio man Wednesday for committing acts of deadly violence that occured in Charlottesville, Virginia, last August. Jason Kessler, the organizer of the August 2017 neo-Nazi rally in Charlottesville, Virginia, that left one protester dead and 19 injured, as well as two police officers dead, has successfully had his a permit approved for a rally in Washington, DC, on the one-year anniversary of the fateful weekend. Director Spike Lee minced no words during a news conference at the Cannes Film Festival when talking about US President Donald Trump’s response to the neo-Nazi “Unite the Right” rally last August and the violent clashes with anti-fascist protesters that left one woman dead.